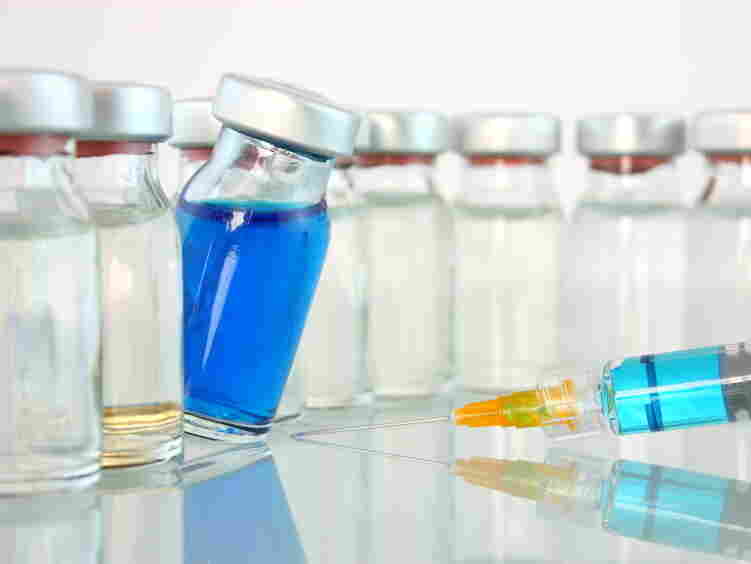 Drug Shortages Affect More Than Half A Million Cancer Patients : Shots - Health News So far this year, there have been shortages of more than 200 drugs, including treatments for cancer and high blood pressure. Cancer drugs have been hit the worst, and an analysis estimates 550,000 patients in the U.S. have been affected. Persistent shortages of life-saving drugs led President Obama to issue an executive order last month to try and ease what one administration official called a "dire public health situation" that has created problems for patient care. So far this year, short supplies of more than 200 drugs — treatments for conditions ranging from cancer to high blood pressure — have been reported. How many U.S. patients have been affected? Try 550,000 cancer patients alone for the year that ended June 30, according to a new analysis from the IMS Institute for Healthcare Informatics. The analysis made use of the IMS database of U.S. prescriptions and lists of shortages from the Food and Drug Administration and the American Society of Health-System Pharmacists. More than 80 percent of of the drugs in short supply are generics and are injected, rather than given as pills. The top three categories of conditions for which the drugs are used: cancer, infections and cardiovascular disease. Most of the drugs have only one or two companies making them, so problems in production can have a dramatic effect. "For 75 products there's a shortage of the product regardless of the supplier" situation particulars, says Murray Atiken, head of the IMS Institute. The supply of those medicines has fallen 20 percent in recent years. One example is the supply of injectable furosemide, a treatment for congestive heart failure, which has fallen recently by about 22 percent from its historical average. There's another type of shortage, in which "the overall supply of the product may be stable or even rising" but there is volatility due to changes at individual suppliers. Take cisplatin, a workhorse in cancer treatment. The total supply is up but it's volatile, such as when volume dipped after one company stopped production last year, the IMS report says. IMS has joined the chorus recommending a better system to warn hospitals, doctors and pharmacists about shortages while there's time to take action, such as finding alternative medicines.